We left the pier at: 2:30pm on the Southwestern Delights tour headed towards the islands southern border. 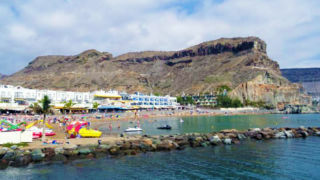 It was rush hour in Gran Canaria so traffic was heavy. 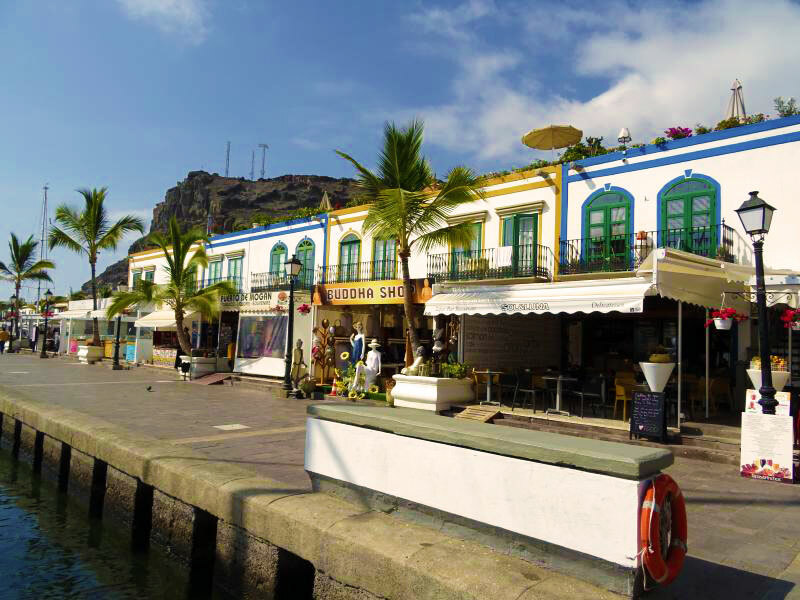 The islands receive cash from the European Union for improvements within the region. The routes now consist of several new tunnel systems through the mountains. 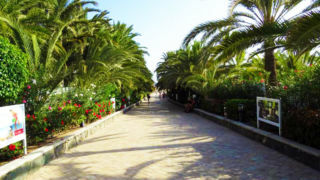 We traveled through Telde, the second largest center on the island. 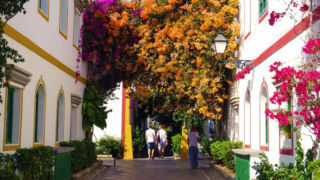 Telde was a capital city before the honors went to Los Palmas. 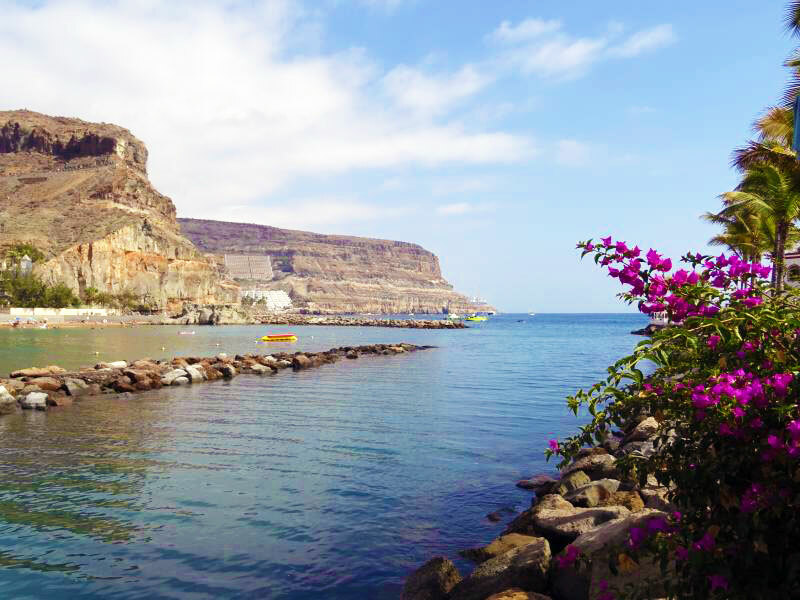 We crossed eleven tunnels in total on the journey to Puerto de Mogán which included a grand view of the shoreline. 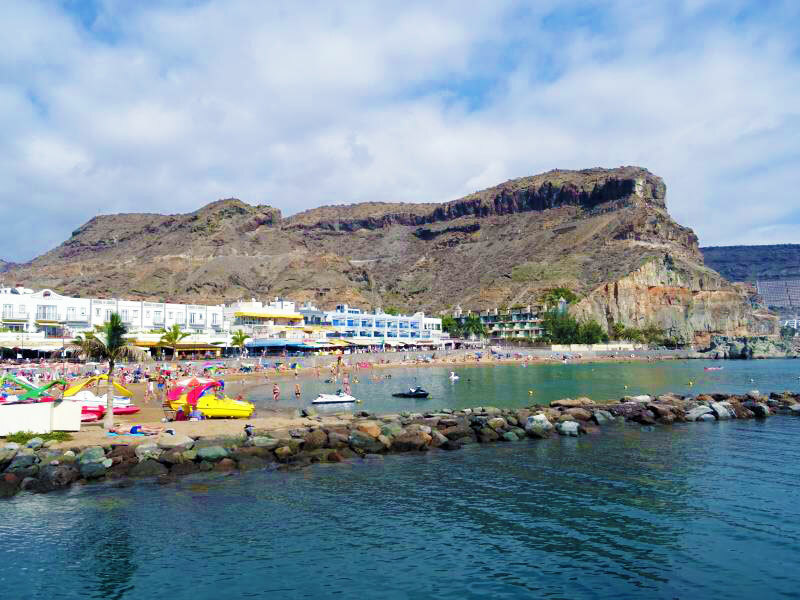 We reached Puerto de Morgan at 3:45pm and had one hour of free time to wander about the beach and harbor. 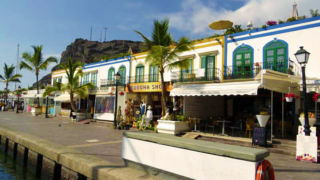 The town had stores and restaurants, and a main beach area. 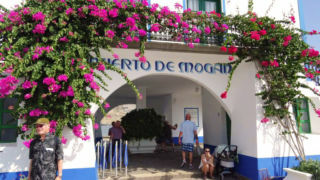 In Puerto de Mogán the public-air market closes at 2:30pm; so, it may be best to make this a morning tour. We did not see this advice in the shore excursion brochure. 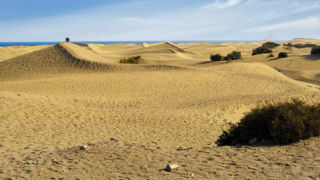 At 4:45pm we left for the Dunes of Maspalomas. The beach and breaker of the inlet. 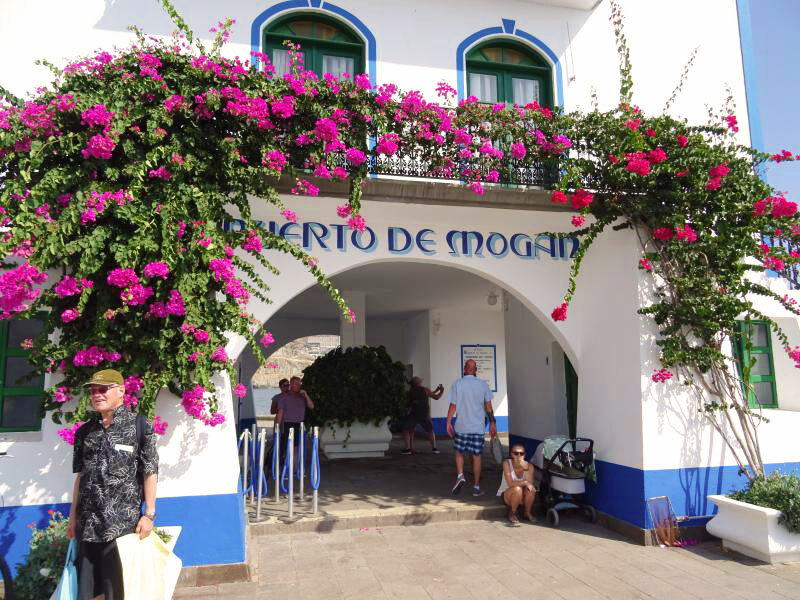 Beautiful spray of flowers at Hotel Puerto do Mogan. Wonderful view looking out to the ocean. 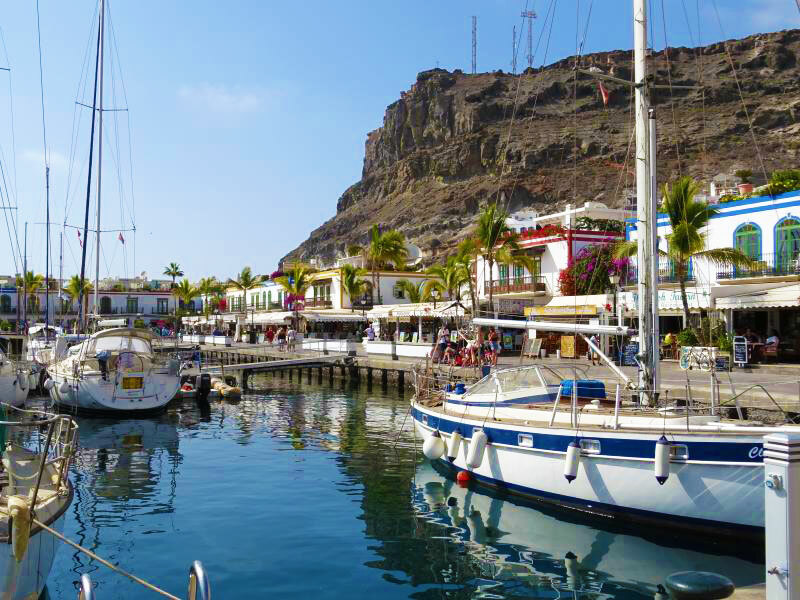 The harbor and hillside of Puerto de Mogan. 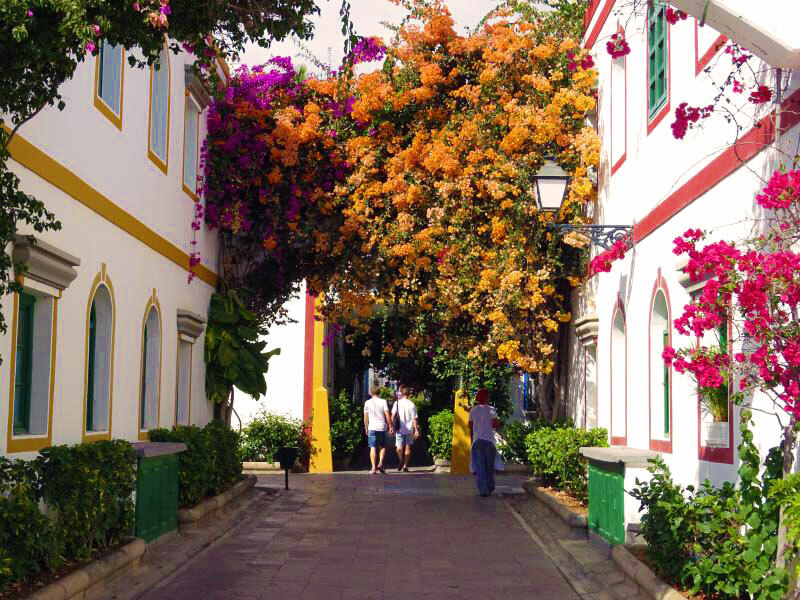 Everything is blooming along the streets of Puerto de Mogan. 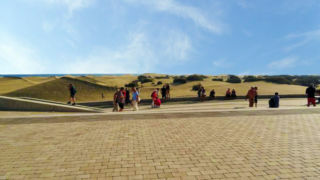 The passage on this stage is panoramic and by the southern highway to Maspalomas. However, a recent rock slide had made the road impassable. 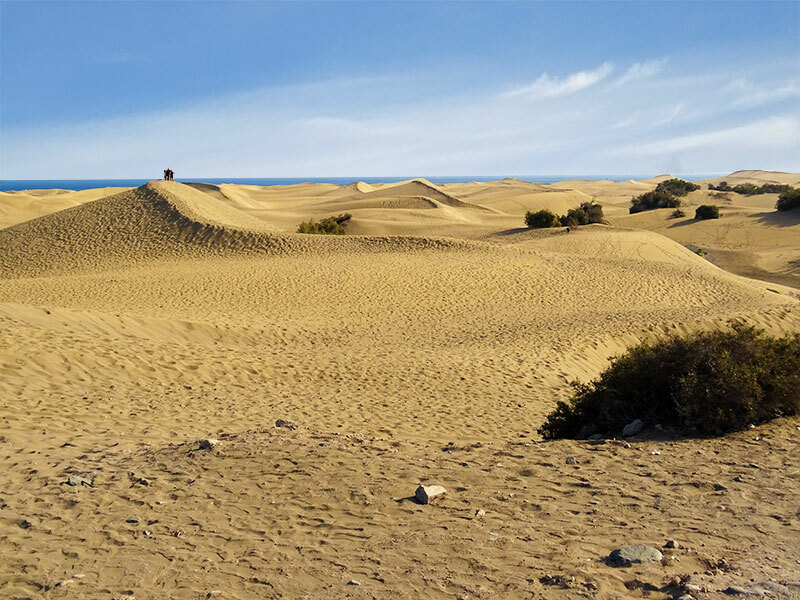 Therefore, we made our way to the Dunes of Maspalomas by retracing our route from earlier in the day. 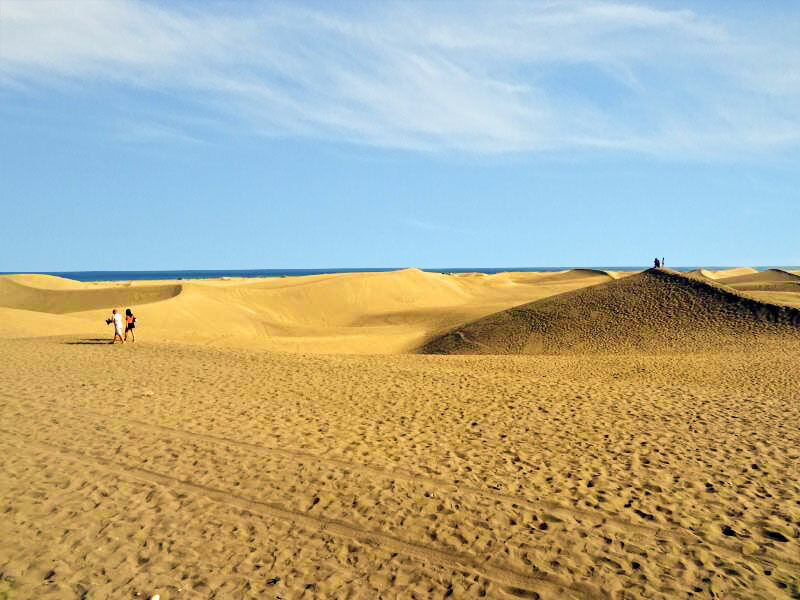 We arrived at the Dunes of Maspalomas at 5:20pm and had 25 minutes to admire the landscape. The dunes stretched to the ocean and footprints marked the tracks of earlier guests. There was no time for a similiar journey. At our vantage point we spied a couple taking wedding photographs. Onlookers snapped pictures of the cute couple against the dunes. The conditions were hot and our bus departed at 5:45pm. 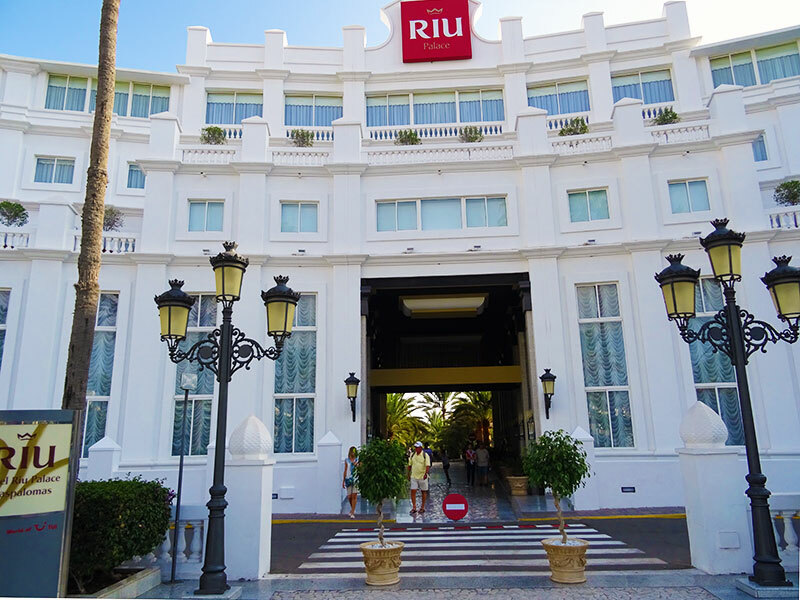 Entrance to the dunes from Hotel Riu Palace Maspalomas. 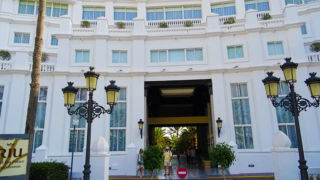 The walkway from the Riu Hotel out to the dune viewing area. 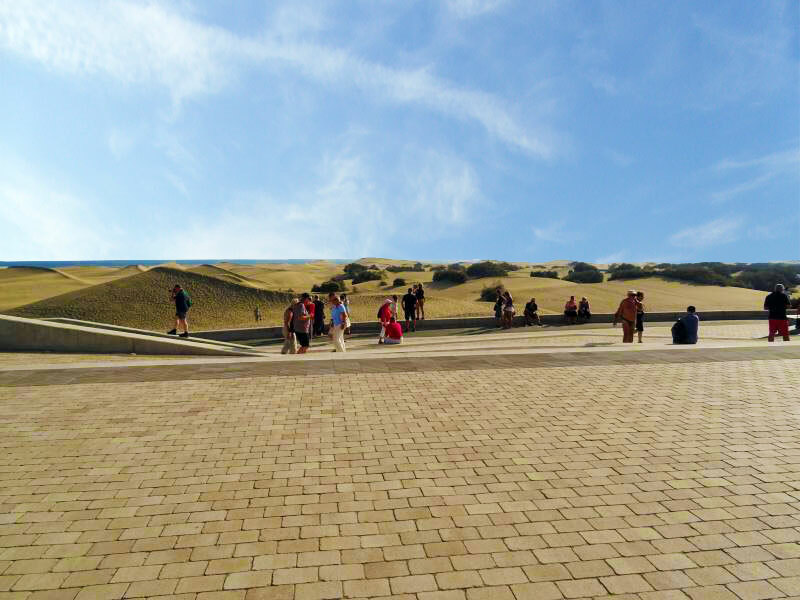 The Dunes of Maspalomas from the viewing deck. 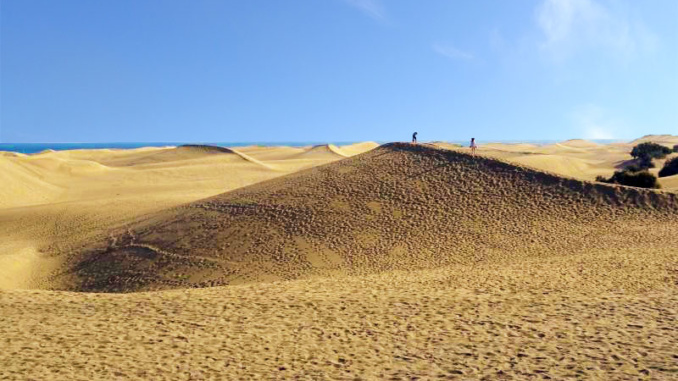 Mesmerizing dunes that extend right to the ocean. 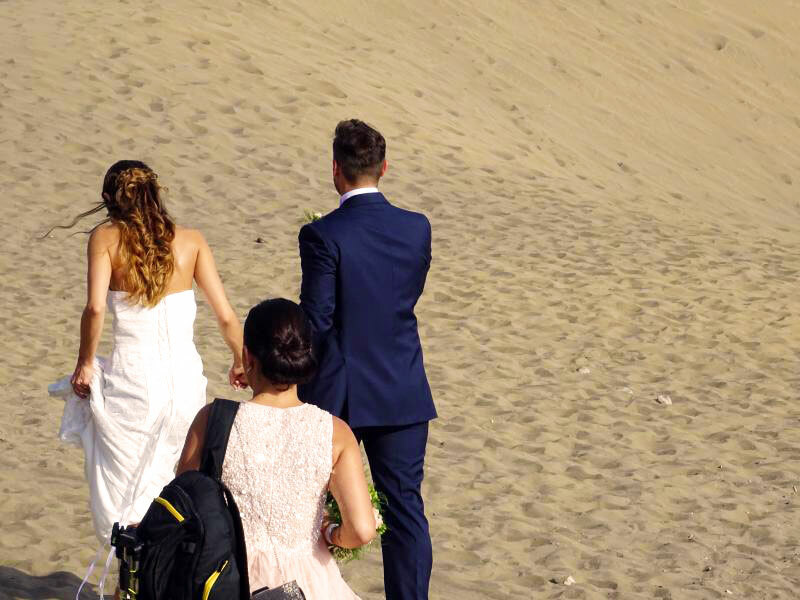 Wedding couple capturing photos at the dunes. 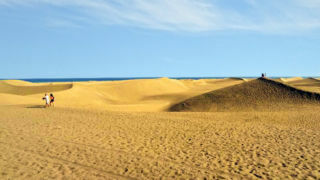 The dunes take their shape from the wind, how beautiful. Leaving the dunes, we sped past the golf course of Mello Lemos, one of the most expensive places on the island. 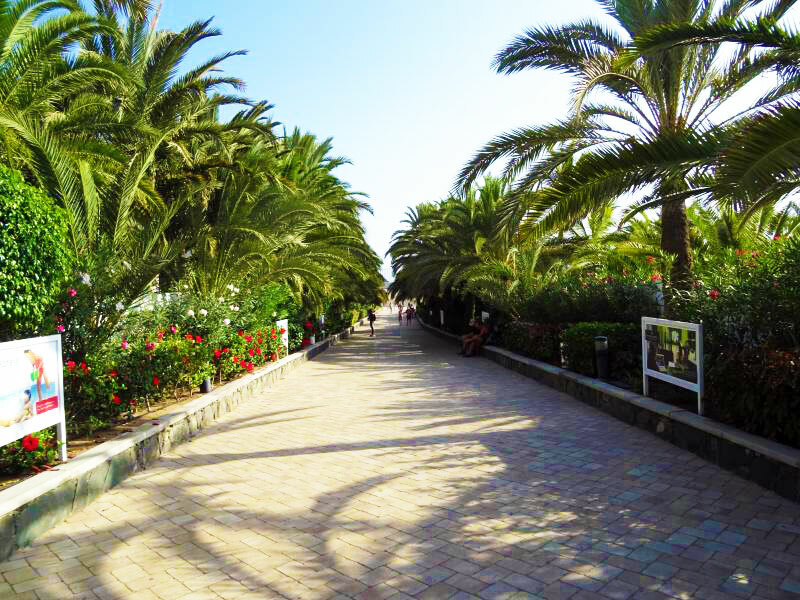 We also passed by the Botanical Gardens of Maspalomas before returning to the highway. 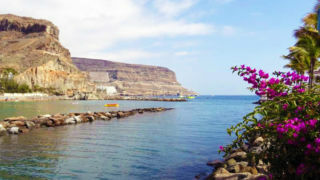 On the trip back to the pier, our guide spoke about the specialty dish of wrinkled potatoes served with red and green sauces. We reached the pier at 6:30pm.